At a glance, you might not think twice about these honey amber hook earrings framed in a sterling silver sun. But when you take a second look, these affordably priced earrings have the right combination of depth, appealing design, and vibrant color. The designer is Ian and Valeri Co., a well-known purveyor of amber jewelry founded in 1991 by Valery Dantchenko and Ian Serjantov. The two formed the company shortly after Dantchenko gave up his acting career and came to the United States. Dantchenko also owns Valerio 888, which is a wholesale company purported to have been the first to introduce a multicolor amber collection to the world in 1992. Dantchenko knows his gems, including the varied classes and regional distinctions. Amber for these earrings was mined in the Kaliningrad Oblast of Russia on the Baltic Sea. The flecks within these earrings are caused by succinic acid, which also helps provide its depth and exotic appeal. According to Dantchenko, these stones were made approximately 60 million years ago. 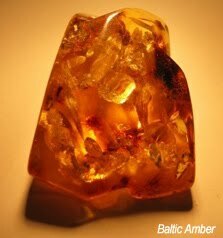 Although amber is typically catalogued alongside semi-precious stones such as jade and turquoise, these stones are mineralized fossilized plant resin. From the Baltic region, they generally are available in white, butterscotch, lemon, honey, cherry. and green. Honey tends to be the most popular and is the most visually striking. 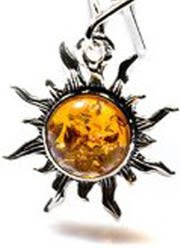 Like most stones, amber is also said to possess some mystical powers. 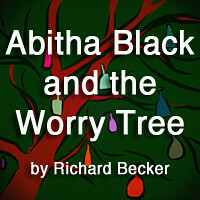 Specifically, healing properties, good luck, and protection from negativity. Of course, you don't have to be a mystic to appreciate this design. The earrings are distinct, and a matching pendant or ring is easy enough to find (Ian and Valeri Co. makes both). Earrings By Ian and Valeri Co. Hit A 7.9 On The Liquid Hip Richter Scale. When you consider the affordability, the designer, and the departure from the more common ethnic and Southwestern settings that employ amber, this everyday set of certified amber flaming sun earrings is just right to round out a collection. As an aside, if you were to add amber to your collection, you can keep it clean with a damp cloth. Avoid heat and chemicals because unlike true gemstones, cleaning solutions and heat can be damaging to amber.